(North Bridgton, ME- March 7, 2017)— Bridgton Academy is excited to announce the return of Rick Marcella as Head Football Coach. Coach Marcella, who coached at the Academy for 26 seasons from 1986 to 2012, returns after five years away from North Bridgton. A Waterbury, CT native, Marcella has built a legendary career and resume in New England Football. Beginning with a standout career as a defensive back at the University of New Haven, followed by earning his masters degree at Central Connecticut State, Marcella began his coaching career with stints as an assistant at Central Connecticut State, then SUNY Albany. Marcella comes back to Bridgton after a year at Nauset Regional High School on Cape Cod and four seasons as Head Football Coach at New Hampton School, where he led the Huskies to a 30-5 overall record during his time there. Marcella began his initial tenure at Bridgton Academy in 1986, taking the helm as Head Football Coach in 1990. He continued the football program’s tradition of creating opportunities for dozens of students to play football at the collegiate level, including NFL star Victor Cruz 05. Under his guidance at Bridgton Academy, Marcella oversaw the nationally recognized postgraduate football program and its players on the gridiron, from recruitment to college placement. His network of relationships grew throughout New England and the greater United States, culminating in his development of Bridgton’s postseason recruiting showcase. Continuing after his departure in 2012, last season’s showcase saw nearly 50 college coaches scouting Wolverine football players. Marcella will officially return upon completion of the school year at New Hampton School, and will hit the ground running recruiting students for the 2018 Class, as well as connecting with students who have already committed. 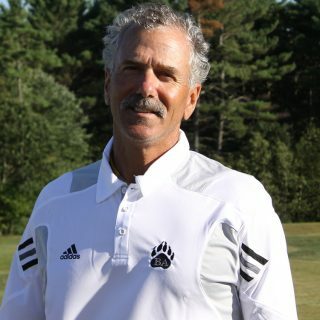 With Marcella returning to a coaching staff that includes Matt Burgess ’88, Joe Daley ’77, Travis Dube and Trevor Coston, the Bridgton Academy coaching staff now has an unbroken line of 31 years of uninterrupted experience at the Academy.